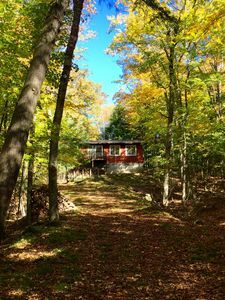 Northern Wisconsin conjures up great moments and memories for many of us. 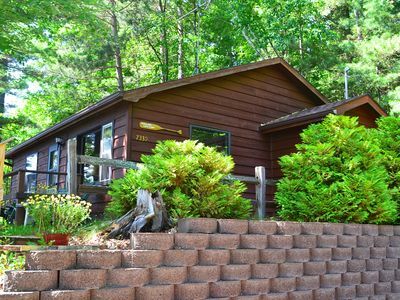 An abundance of pristine lakes, pine forests, and great fishing creates the perfect family vacation destination. 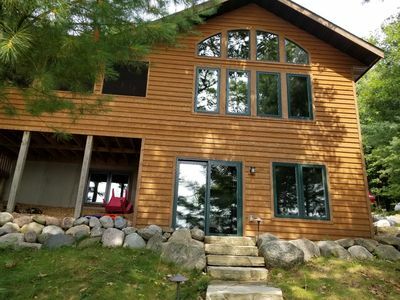 The Frydenlund family invites you to make your memories at our family retreat, The Cedar Lakehouse. Watch a lakeside sunset from the dock. 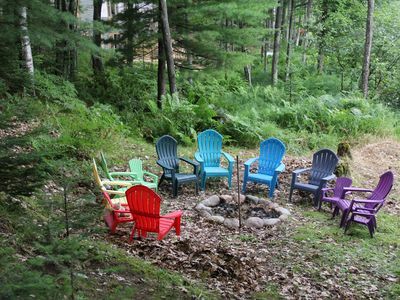 Enjoy an evening campfire around our rock-encircled fire pit. Cruise or kayak the 300-acre lake, just steps from the back porch. 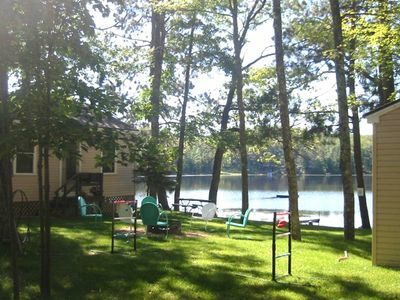 Experience all of this on a north-woods lake in a north-woods cabin with all the amenities and ambiance to make your memories come alive. 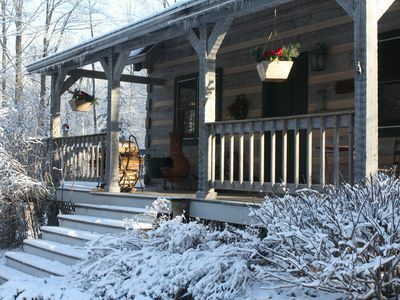 Built in 2010, The Cedar Lakehouse combines modern amenities with a rustic cabin feel. 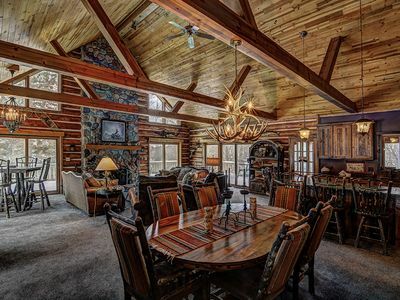 The feeling arrives the minute you drive up to The Cedar Lakehouse, wrapped in cedar inside and out. Relax in the living room, finished with cedar wood walls, lofted ceiling, and floor-to-ceiling windows overlooking the lake. 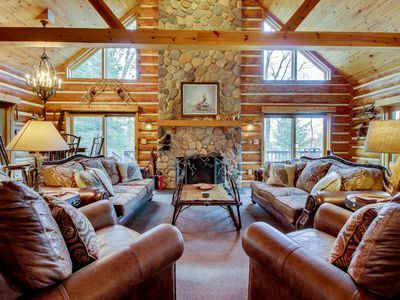 Gather around the fireplace on plush, leather furniture. 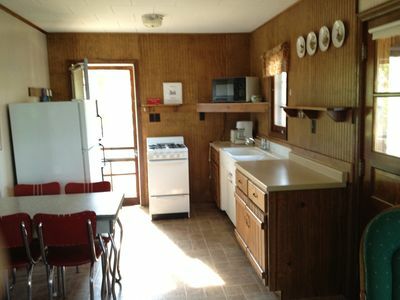 Cook the day’s catch in a fully-equipped kitchen with lighted counter space, ample cabinet space, and Duo Oven. Or grill that steak on our gas-fired charcoal Weber grill. 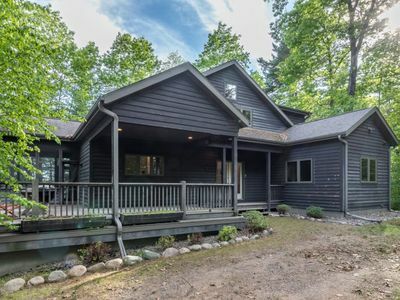 The cabin features three bedrooms with pinewood ceilings with classic ceiling fans, three spacious bathrooms, walkout family room with comfy pullout couch, and a screened porch overlooking the lake. 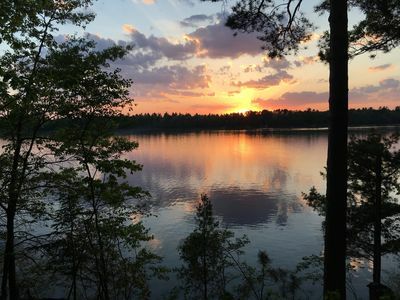 Enjoy the pleasures of a north-woods lake from “the dock,” the center of family fun; where people gather to fish, swim, watch the loons, or launch the boat (a new aluminum dock will be installed in the spring of 2019). At 314 acres and 24 feet at its deepest, Gilmore Lake is noted for its great fishing. Fish species include Musky, Panfish, Largemouth Bass, Northern Pike and Walleye. Accessible from a public boat landing on County Road E, the lake provides plenty of room for recreational boating and paddling. 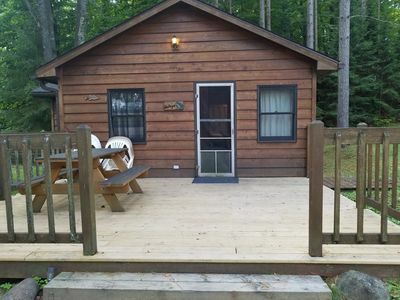 Explore the greater Northern Wisconsin’s “Lake Country” within minutes of the cabin. 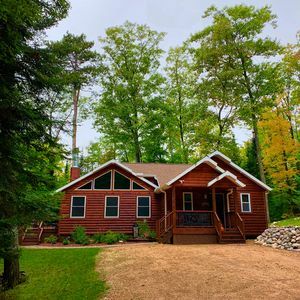 The Cedar Lakehouse is centrally located to the attractions and communities that define being “up north.” You will find shopping, dining, and attractions in Minocqua, 18 minutes away; and St. Germain, just 12 minutes down the road. 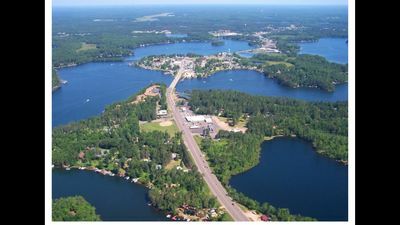 And Lake Tomahawk has a popular meat market to prepare for that evening meal on the lake. Experience all the seasons on Gilmore Lake. 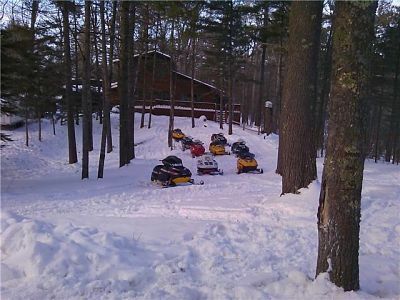 Winter at the Lakehouse offers snowshoeing, ice fishing, and snowmobiling – the state trail goes right by Gilmore Lake – and a good book in front of the fireplace. Spring brings the retreat of ice and the beginning of fun on the lake. Celebrate summer with swimming and boating on the water and summer evenings on the porch. And fall ushers in the spectacular autumn colors. Note: We always thought that northern Wisconsin missed the color season because of all those pine trees. Wrong. Fall colors on Gilmore Lake rival anyplace in Wisconsin. The fluorescent yellow of poplar and birch trees set the landscape aglow. 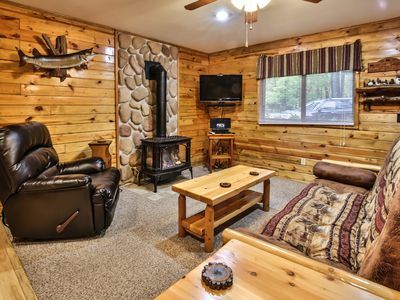 The cabin and lake combine perfectly for makin’ memories with family and friends. All we need now is you, at The Cedar Lakehouse. 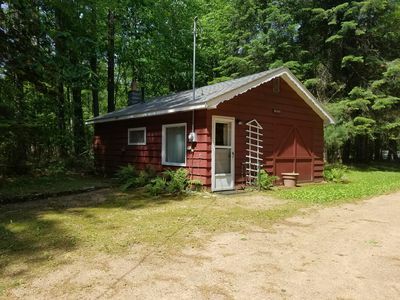 NorthWoods Tranquility! Peaceful & Private! 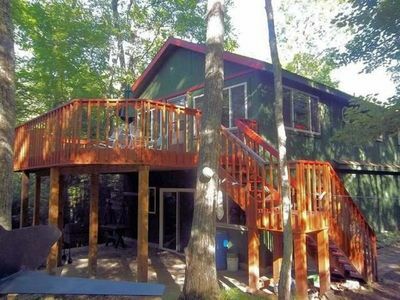 "Life is better at a cabin in the woods... and on a lake." 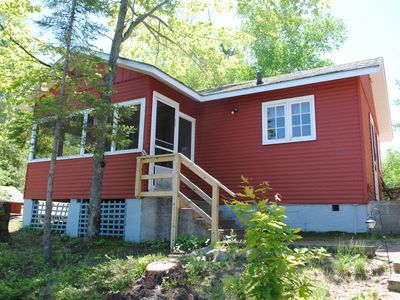 3 BD cottage on spectacular Diamond Lake, Premier Water Clarity and Sunsets! 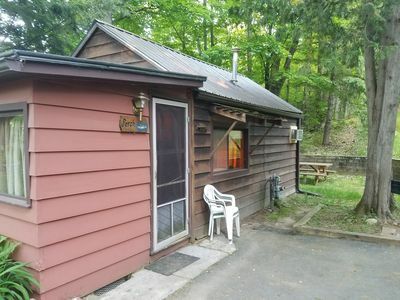 Lovely 2Br Cabin right by the water and fun family activities!